While having a discussion the other day about the merits of noodle soups and rice bowls, it occurred to me that I really have a thing for one bowl meals. They’re easy to prepare, come in a huge variety, and I love how all the textures and flavors of the different components intermingle. The same applies to rice bowls. 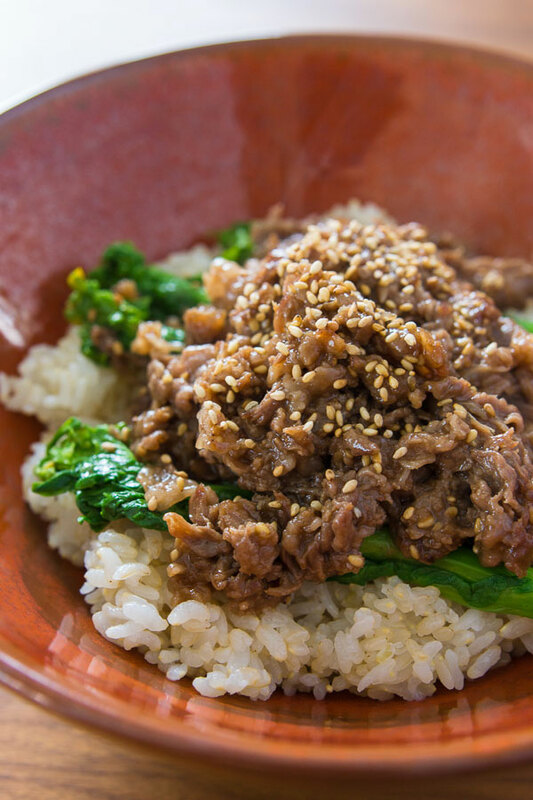 Whether it’s katsudon, oyakodon, or this sesame beef bowl, there’s something magical about a hot steaming bowl of rice topped with a heap of protein and veggies, the sauce trickling down onto the piping hot rice below. 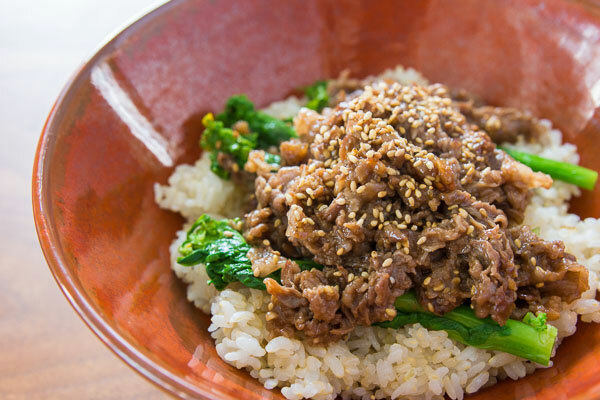 With thin, tender pieces of beef coated in a sweet and nutty sesame soy glaze, this rice bowl makes for a delicious quick weeknight meal. By adding a layer of steamed vegetables between the rice and the meat, the veggies soak up the flavor of the sauce while adding some great color and boosting the nutrient value of the bowl. The trick to making this work is to thinly slice a tender cut of beef and including potato starch in the marinade. The starch not only helps the meat retain moisture, it also adds just enough thickness to the glaze to make it cling to the beef without making a gloppy sauce. I love making a double batch of rice bowls like this and packing the leftovers into serving size containers with rice and veggies for an easy reheatable lunch that I can take with me when I’m on the go. Rice bowl are great recipe for a re-heatable lunch idea. Add some sesame beef for protein along with steamed vegetables. 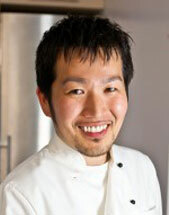 Food blogger Marc Matsumoto shares why starch is the trick to this recipe in a full post on the Fresh Tastes blog. 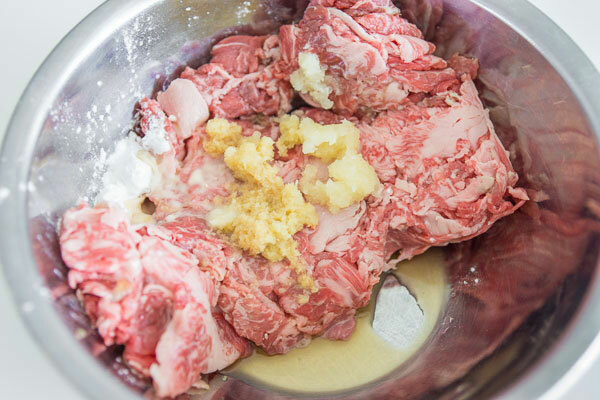 In a bowl, combine the beef, Shaoxing, ginger and garlic and thoroughly mix together. Add the potato starch and mix to combine. In a separate small bowl, combine the water, soy sauce and sugar and stir to combine. Add the sesame seeds to a sauté pan and heat over medium high heat. 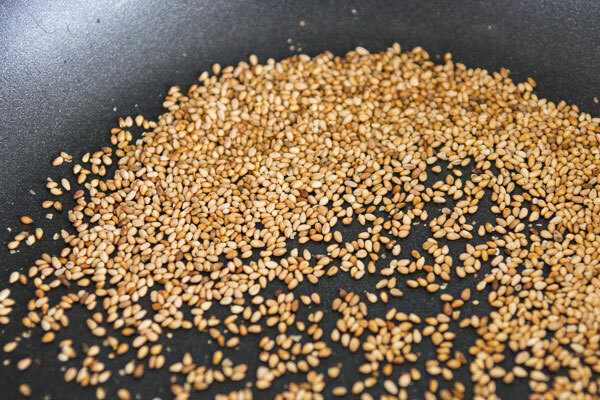 Toast the sesame seeds until they are golden brown, swirling them around the pan constantly to ensure they brown evenly. 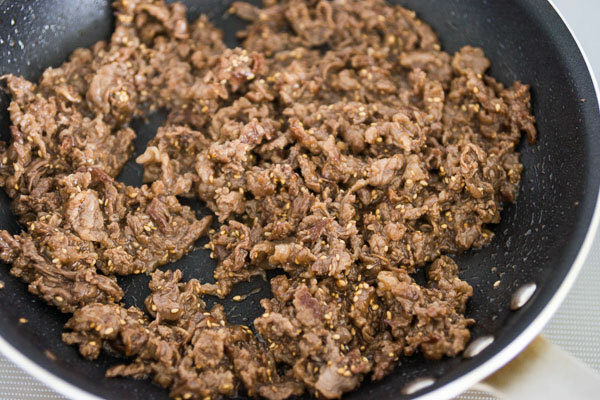 Once the sesame seeds are well toasted, transfer them to a plate and add the sesame oil to the pan along with the beef. Stir-fry the beef until there are no red bits left, and then add the soy sauce mixture. Bring this mixture to a boil, stirring constantly until it’s turned into a thick sauce that coats the meat. Add the toasted sesame seeds, and then serve the beef over steamed Asian greens on rice.